Punta Suarez offers the visitor quite a display in wildlife: Marine Iguanas with copper red patches, Swallow Tailed Gulls, the endemic Long Billed Mocking bird, Finches, Masked and Blue Footed Boobies, Oystercatchers, Sea Lions and Lava Lizards. This is the only island where the Waved Albatross is to be seen during the breeding season, April to December. 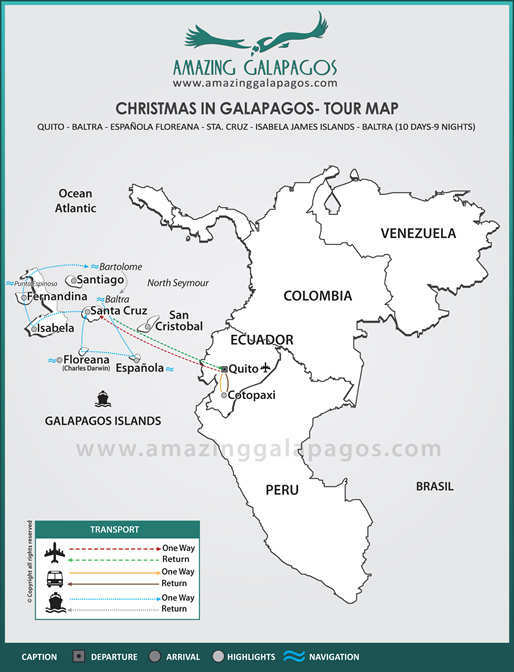 The Charles Darwin Station and headquarters of the GalapagosNational Park may be visited at Puerto Ayora, the Islands´ most populated human settlement. 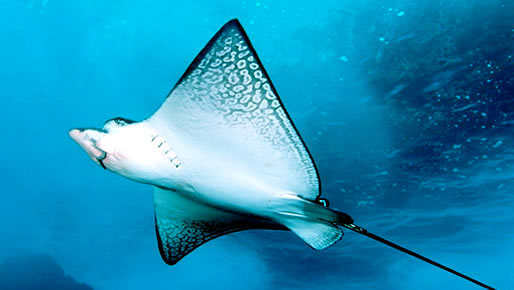 The highlands offer the lush humid zone with its vegetation of Miconia bushed, Scalesia and inactive volcanic cones. 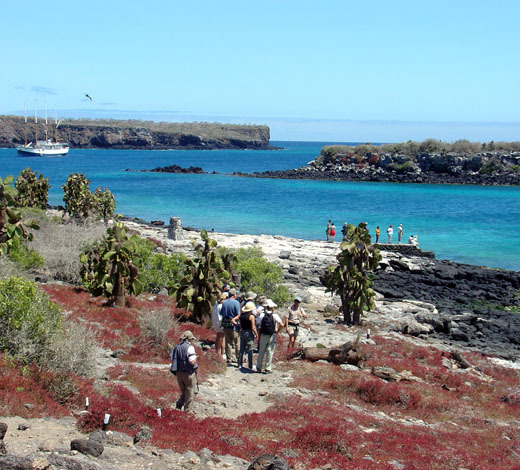 Santa Cruz has more endemic plants than any other island in the Galapagos. 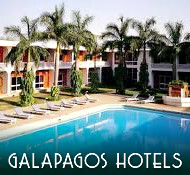 The Galapagos tortoises can be seen in their natural habitat here. Punta Moreno and Elizabeth Bay Punta Moreno: Main attractions are Brackish water lagoons, Flamingos and White cheeked pintail ducks. 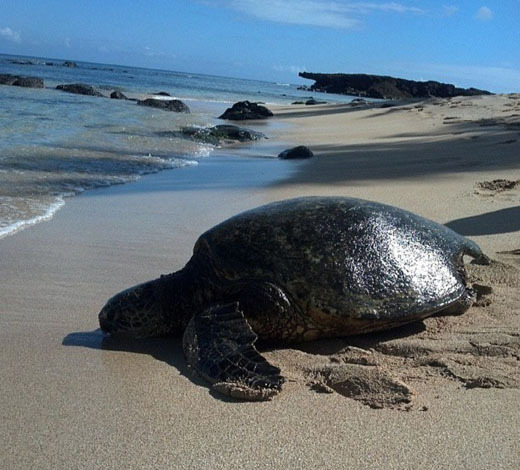 Elizabeth Bay: Island Isabela area of giant red mangroves Penguins, Sea turtles, Pelicans, Sea lions, Lava herons and Rays Flightless cormorants. 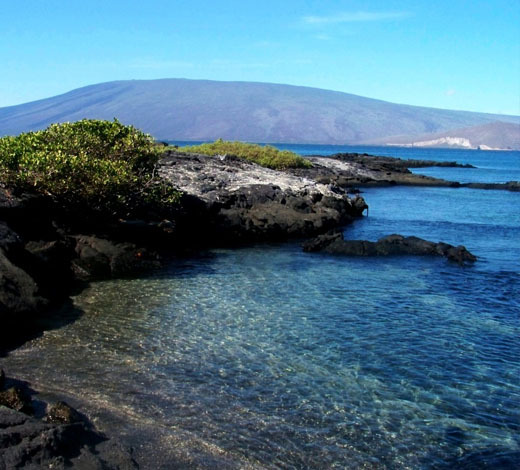 Urbina Bay: Island Isabela Attractions: Remains of a coral reefUplifted from the bottom of the sea. Flightless cormorants, Brown pelicans, Large marine iguanas, Rays Marine turtles and seashells Punta Espinosa: Flightless Cormorant, Pelicans, Sea Lions, Sally Light Foot Crabs and an abundance of Marine Iguanas can be seen along the shores of one of world's most active volcanoes. 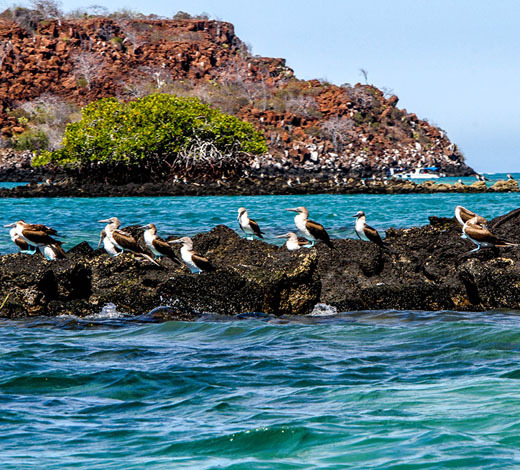 At Puerto Egas, you will see Galapagos Fur Seals in pools cut into lava cliffs and there is a good chance of spotting the Galapagos Hawk, the Galapagos Dove and Vermilion Flycatcher. Tucked behind Espumilla Beach are salt water lagoons where Flamingos and White Cheeked Pintail Ducks may be seen. Bartolomé: Nowhere else is the geological history of the Islands better portrayed than here. The most impressive volcanic scenery.